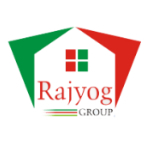 S Krajyog Builders provides reliable Investment opportunities to Retail & Corporate Clients. We deal in Residential & Commercial Properties in Delhi & NCR along with a division of Corporate Lease. We offer customized solutions to several organizations & Individuals to their utmost satisfaction. The Group has Established its reputation as a real estate developer , safety of investment and integrity of commitment.